Keep up with learning opportunities on improving children’s health and well-being. Find in-person conferences and educational events or online webinars and events with an online option. Additional events calendars from other organizations are below this calendar. Grand Rounds is a series of educational lectures open to the public given by department and invited faculty about the latest in psychiatry and behavioral health research and practices. Past Grand Rounds lectures archived for viewing. Monthly calendar of events and trainings open to the public affiliated with the University of Washington’s CHDD in Seattle. Core seminars are typically Mondays from 12:30-1:30 and are usually recorded for later access. The Northwest Center for Public Health Practice (NWCPHP) out of the University of Washington releases a new Training Finder Tool that searches NWCPHP’s nearly 200 online courses, webinars, toolkits and guides, in-person trainings, as well as their Institute and Certificate programs. A partnership for communication on developmental disabilities. 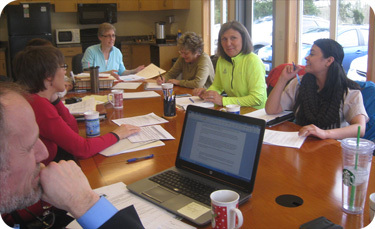 Partners include the WA State Developmental Disabilities Council and the Developmental Disabilities Administration. View events and meetings from all 9 regional Accountable Communities of Health working on Medicaid and other health care systems transformation. PAVE (Partnerships for Action, Voices for Empowerment) provides a statewide training calendar with local, regional and state support groups and training for children, youth and individuals with disabilities and their families. Children’s offers free Autism lectures for parents and caregivers of children and youth on the autism spectrum. These classes are held at the hospital but videocast to community sites across the state as well as recorded for later viewing. Autism 101: This lecture is designed to provide information and support to parents and families of children recently diagnosed with an autism spectrum disorder (ASD). Lecturers provide up-to-date and evidence-based information regarding the core deficits of ASD, the variability and presentation of behaviors associated with autism, prevalence and etiology, treatments available and resources for families. Offered quarterly. Attend in person or online. Autism 200: This series of free 90-minute classes for parents and caregivers of children with autism who wish to better understand this disorder. Faculty from Seattle Children’s and the University of Washington and community providers teach the classes. Attend in person or online. WSLI is a collaborative of family-run organization developing and supporting leadership opportunities for youth with disabilities and chronic health conditions and parents and other family members of children and youth with disabilities and chronic health conditions. Sign up to receive an informative weekly newsletter with trainings, resources and more to support your voice. Contact Michelle Hoffman ( michelle.hoffman@doh.wa.gov) at the Washington State Department of Health, CYSHCN Program to be added to the listserv. Many of the nine regional/county Arcs offer training and events.